Ecologist Kim Chapman and poet Jim Armstrong, authors of the upcoming book Nature, Culture, and Two Friends Talking, a collection of essays addressing our complex relationships with the natural world, will present an in-depth look the work of Ladislav Hanka. Working loosely from their book, the two will engage in a wide-ranging discussion about how Hanka’s work creates a dynamic confrontation between art and science, wildness and civilization, beauty and ugliness, darkness and light. As a special feature of this talk, Hanka will be present to join in the conversation. All three–Kim, Jim, and Lad–have a strong local connection, to Kalamazoo and to one or both of our local institutions of higher learning. They also all have strong conservation credentials and are skilled writers with distinctive voices. Lad–Vladislav R.–Hanka is a resident of Kalamazoo, well known as an artist, especially as a print-maker. He recently published a remarkable book In Pursuit of Birds, A foray with field glasses and sketchbook, Drawings and etchings of birds with some stories of birding in exotic places. Among his other activities, he has been a recent critic of Western Michigan University’s development plans for the Colony Farm Orchard (as he was also in 2009-10). Kim Chapman studied the native grasslands of Michigan while at W.M.U and later did a Ph.D. in conservation biology at the University of Wisconsin. He spent several years saving land with The Nature Conservancy chapter in Minnesota. Currently, he lives in St. Paul and directs an ecological consulting firm. Jim Armstrong earned a Ph.D. at Boston U. in American literature. and is on the faculty of the English Department at Winona State University in Minnesota While in Kalamazoo, he wrote a series of articles for the Gazette that dealt with local land conservation. 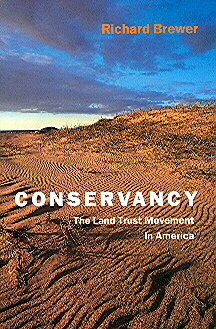 The series contributed to the current that led to the formation of the Southwest Michigan Land Conservancy. From the KIA description, it sounds as though Kim and Jim are going to talk about some of the themes in Lad’s new book, but we’ll have to wait and see. Kim and Jim have collaborated before, notably on a critique of the Little House on the Prairie series of books by Laura Ingalls Wilder. Their approach was ecological; the title was What Laura Saw: Making a Little Home on the Extreme Great Plains. I talked a little about their paper (which had been presented at an environmental conference at WMU) in a post to this website on 10 February 2011. The Tuesday program is in the KIA’s ARTBreak series. Bring your brownbag lunch; coffee will be provided. Free parking in the KIA lots. This entry was posted in Birds, Conservation, Land Trusts (& other private land conservation), Michigan (including Kalamazoo), Plants and Plant Communities. Bookmark the permalink. Both comments and trackbacks are currently closed.